Out of all the places in the world where you might expect to find CBD, Scotland is probably not one of them. Images of highland mountains, frolicking sheep and vast casks of whiskey are likely far closer to the forefront of your mind than CBD, but it turns out that there is a significant market for CBD and CBD-related products in the northern parts of the British Isles. Unfortunately, thanks to the rather strict laws surrounding all cannabis-related substances, it is often difficult to find any reputable CBD brands in the UK. Thankfully, hope is not lost, as companies like Hope CBD exist. Companies who are able to stock hopeful CBD users in Scotland with whatever they need. 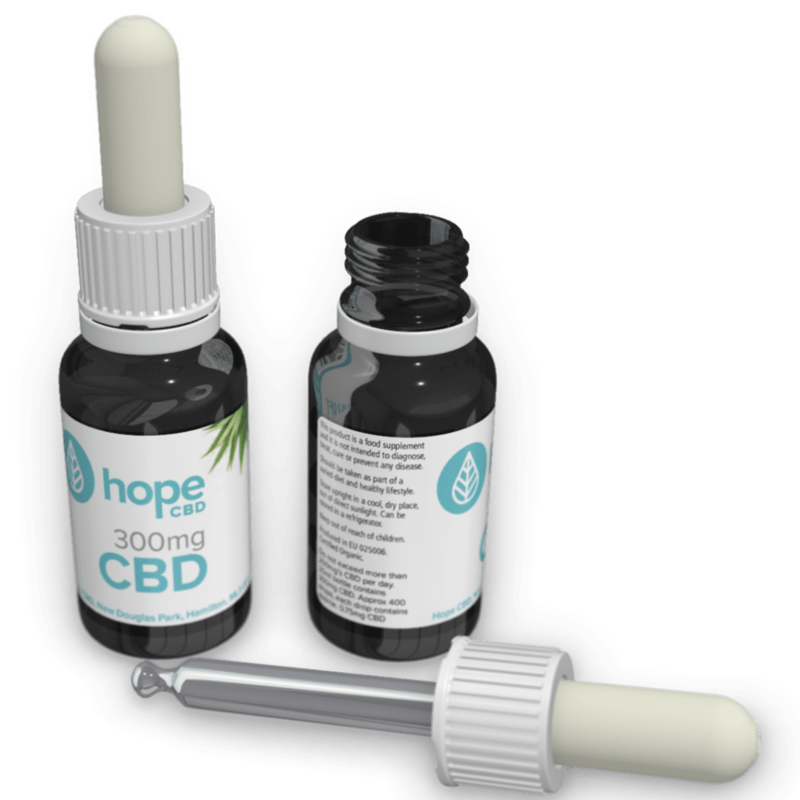 Let’s take a look at Hope CBD and examine their products to determine whether or not they are a worthwhile company to buy your CBD from. Most of the time, when a company bases its original design elements and company ethos on their nationality, it is quickly forgotten as they begin to grow larger and seek to expand in profits. However, this is not something that Hope CBD seems ever to pursue, as their core identity is rooted in their Scottish heritage. In fact, their very logo is rooted in the Scottish flag. In the surprisingly detailed “About Us” section of their website, Hope CBD describes themselves as “a company borne out of suffering.” This is an excellent indication of their intended values as a company, as the majority of their products and their purpose in existing, is to provide pain relief for those that can’t get it using regular medicine. Hope CBD uses their “About Us” page to not only inform potential customers about themselves, but also to inform them about both the legality and value of CBD products, as well as how it can benefit the people of Scotland. Contrary to many other retailers, they have a very strong retail presence throughout Scotland as well, so they can provide the exact locations of where you can get their CBD products from – if you are in Glasgow or Edinburgh region. They actually even have their own stadium in Hamilton, around the Glasgow area. Once you get past their actual personal information and start looking for scientific lab reports; however, you begin to get a bit worried – where are their official lab reports? Finally, after scrolling all around their website, you will find a tiny “Lab Reports” section on the bottom of their website. Unfortunately, it will link to an unfinished page and, thus, no actual lab reports being provided whatsoever. This is obviously troubling from a company that emphasizes their desire to help their customers with their pain-relieving CBD oil but then refuse to back it up with actual scientific evidence. So, how effective are their actual products? Are they going to be worth buying, despite a lack of evidence? Once you open up their store page and start exploring their products, you will quickly realize that Hope CBD has one consistent problem – their site just isn’t finished yet. Their primary CBD oil product, the 300mg CBD oil, which costs £29.99, comes with a decent amount of information, both with regard to its ingredients and its effects. They focus on their all natural method of harvest, using no pesticides or herbicides, being entirely GMO-free and sourced from only UK and EU Hemp. The amount of information that they provide is indeed a positive thing, as it is always good to know the contents and methods whereby your CBD oil has been made. It even comes with a little infographic concerning the up-titration method, which is a method of slowly increasing your dosage of CBD week by week, until you begin to notice it helping treat your symptoms. They also offer this same CBD oil in a 2000mg concentration bottle, costing £119.99. Just in case you need an extra strength version to help with a variety of serious conditions, that can’t be handled with smaller doses. However, despite the fact that the Hope CBD website has an internal review system, there are quite literally no reviews whatsoever on many of their CBD oils. What makes this even worse is that, when you start to look at their other CBD oil products, there is next to no information about them at all. Looking at their cheaper Naturale Cannabis Oil 2.5%, costing £19.99, there is not even half the information about their product when compared to the 300mg CBD Oil. However, alongside the regular types of CBD oil that many retailers offer, Hope CBD also offers a CBD spray. These are priced similarly to their CBD oils, but instead of a dropper used to apply it under your tongue, these come with a spray that makes it a lot easier to imbibe the CBD. Made using an apparently “low carbon, coconut derived MCT carrier oil,” which presumably just means coconut oil. This is a way to take CBD at a low dosage without having to deal with the medicinal-looking dropper. One product of theirs that has the most information is their Advantage Plus Peppermint Flavored CBD Oil, being priced either £27.95 and £34.95, depending on if you want 200mg or 400mg of CBD – offering some degree of choice with regard to its intensity. Besides the fact that it is flavored with peppermint flavoring, there is no real difference between this and their other CBD oils. However, if Hope CBD’s range of CBD oils doesn’t impress you, the they do at least offer a few different ways to imbibe CBD that are separate from their strangely similar options of CBD oils and sprays. Despite Hope CBD’s insistence that their website is founded on using CBD oils to help medicate and treat injuries, there is actually far more product information available for their vape products. Hope CBD offers CBD e-liquids, all costing £39.99 and containing 1000mg of CBD, in four different flavors: Menthol Blast, Blueberry Burst, Super Lemon Haze, and Strawberry Dreams. These flavors are all varieties of varying marijuana strains, so their names would imply that they all contain the natural terpenes of their namesake’s strain. However, despite the decent quantity of information regarding the safety and use of CBD, there isn’t really much detail about their actual ingredients; and, of course, there is no provided lab report. As it would seem rather strange to offer CBD e-liquids without providing a vape pen to go with it, they stock the Innokin Endura CBD Vape Pen, costing £27.99. Which is actually a third party vape pen that has excellent reviews, especially with regard to its metallic, futuristic appearance that disguises its purpose very well. If you are the type of CBD user who prefers to imbibe their CBD orally, rather than vape it, then Hope CBD stocks a few products that might interest you, as well as slightly…confuse you. Hope CBD offer hard candies that each contain 5mg of CBD. Available for purchase in packs of 10 or 30, costing either £9.99 or £24.99, the strange thing about these CBD candies are their actual ingredients. Hope CBD insists that there are only three ingredients in their candies; honey, propolis and CBD oil. For those not aware, propolis is the substance that bees secrete to act as a sort of ‘glue’ to bind their hives together. It is the reason that you see beekeepers clutching a strangely shaped metal tool when they visit their hives – the propolis acts as a binder to keep their home air and watertight. This means that the candies are nothing more than CBD oil, honey and, essentially, the bee version of wood glue. This is either a good thing or a bad thing, depending on your views on consuming propolis – as some people claim that it has a variety of health benefits. Whether or not these candies are actually effective is unknown, as there are virtually no reviews for these products available on their website. However, besides bee candies, Hope CBD offers one more way to imbibe CBD orally – Tea! Each costing £9.99, Hope CBD offers a Morning Tea, an Evening Tea and a Black Turmeric and Assam Blend, all prepared in ready-to-use teabags. Strangely enough, their Black Turmeric and Assam Blend doesn’t contain any CBD whatsoever. It would appear that Hope CBD just really likes the flavor of this blend? Hope CBD states that their tea is unique not just due to its flavor composition, but because other companies only sell loose leafed CBD tea, whereas Hope CBD offer convenient and easy to use tea bags. The actual scientific consensus on CBD tea is a bit muddled, as strictly speaking, CBD is not water soluble and is thus rather difficult to imbibe using tea. However, as it is made from the flowers and buds of hemp plants, it is very likely that you would imbibe CBD when drinking your tea. That being said, it would be far, far less than if you were just to take some CBD oil of an equivalent amount, due to the hydrophobic nature of cannabinoids. These teas are sold with a focus on taste, rather than effectiveness, so perhaps these are merely a way for those that really enjoy the flavor of hemp to get some hemp taste in their morning cup of tea. Hope CBD seems a somewhat strange retailer. They have an incredibly strong presence in Scotland, offering a variety of different products in a variety of various applications, from CBD Oils to Candies. But, they seem to lack some of the most basic, fundamental pieces of the necessary information to enable their customers to make informed purchases. They don’t have any kind of readily available lab reports, nor do they actually provide detailed information about the majority of their products. There are no real reviews on their website for their products, though there are plenty of positive reviews on TrustPilot.co.uk. Altogether, Hope CBD seems like a somewhat incomplete company. They don’t have any kind of consistent message in their products, nor do they provide the information that they imply is so vital to them. However, the fact that they offer such unique methods of imbibing CBD, such as CBD tea and CBD candies – made from nothing more than honey, propolis and CBD oil. is definitely a positive quality. While it would be nice for their basic CBD oil and CBD e-liquids to have more information, it is great to see a CBD retailer pushing the boundaries of CBD products and opening up their customers to new experiences. Ideally, customers would have access to lab reports and more ingredient information, but in the meantime, you should definitely try one of their candies or teas, and who knows? It might just be precisely the kind of CBD you are looking for.